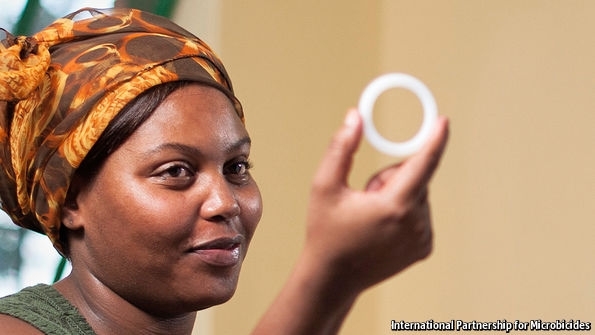 The latest version of the vaginal contraceptive ring joins a host of approaches in fighting HIV/AIDS, with its specific focus on younger women in developing nations. The ring has been improved to not only prevent pregnancy but also prevent HIV, combining two essential preventative medical efforts. HIV is under attack from researchers exploring better treatments, preventative tactics, and cures all over the world. Researchers eliminated the HIV gene from infected animals in 2016, and discovered that natural immune defenses developed in about 10 percent of children infected with HIV. An HIV vaccine is being tested this year, and in January 2017, the Gates Foundation invested $140 million in an implant that delivers anti-HIV drugs inside the body. Meanwhile, better online access to information about anti-HIV meds has contributed to a major drop in HIV infection rates in the U.K., and Thailand has become the first nation in the world to eliminate HIV transmission to newborns. Just this month, researchers discovered that the amazing recovery of the “Berlin Patient” may have been caused by complications from a transplant — which is offering new hope for fighting HIV where it hides inside cells. However, as the world waits for a permanent solution for HIV/AIDS, this vaginal ring and its preventative combination may make a huge difference in the lives of women around the world.